25cm x 25cm (surface area of 625cm²). Easy to cut, allowing you to customise the size of the sheet of foam to fit your fans/enclosure. 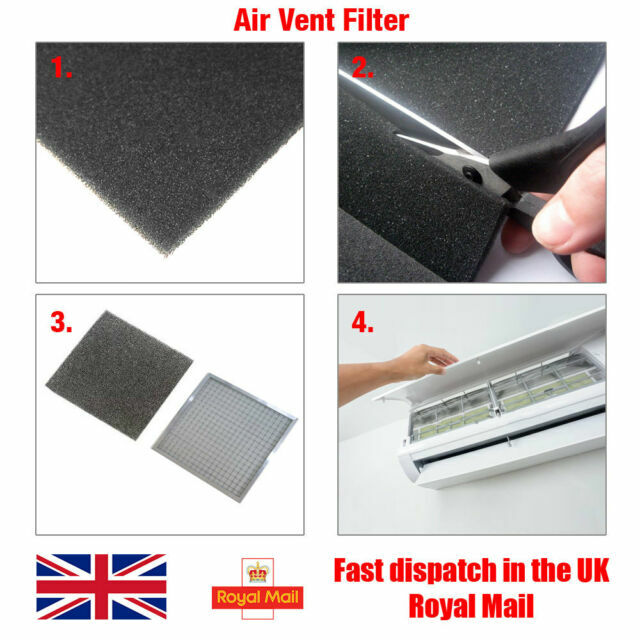 Air Purifier Fan Dust Proof Filter Foam Sheet / 3mm Thick. 3mm thick; perfect thickness to guard your purifier from internal dust build up, thus keeping the air clean. It is fan filter foam and appears to work. It will be a long time before I know if it keeps the dust out. Very good quality but far too expensive for what it really is in my opinion. With some help of some Velcro it keeps the dust out of our dehumidifier.